Another two hours and more Frank Turner carried us through to 18:00 and probably about thirty minutes short of chucking it in, when a rusty old Renault pulled up around 10m past us. We initially thought it was just another customer for the old couple selling nectarines out of the back of their car, but on enquiry he was actually heading the whole 400km to Bariloche, our destination. Our day was suddenly looking up. We arrived late that night to a very different 5° Celsius and luckily found a couple of beds in a hostel. We planned to stay in Bariloche for just one night, but some ordinary weather and a Christmas party in the hostel on the 24th pushed our stay out to four nights. 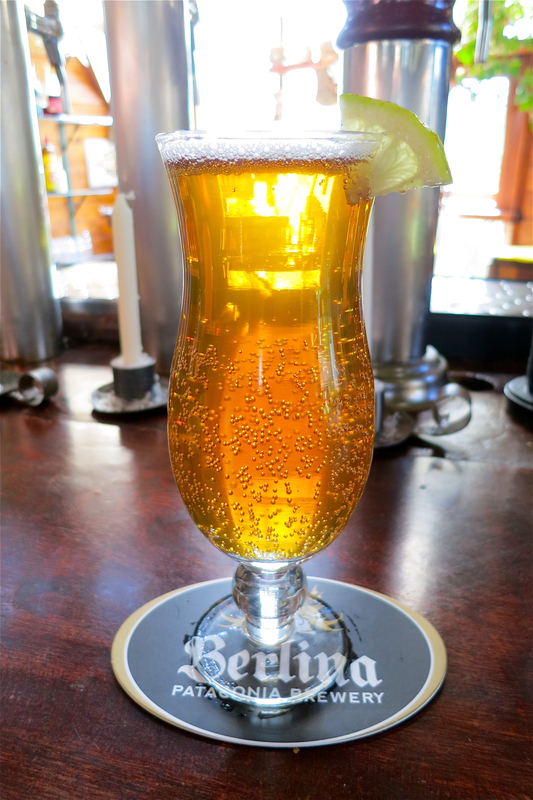 Cerveza Berlina was founded around seven years ago by three brothers, one of which studied brewing in Germany. 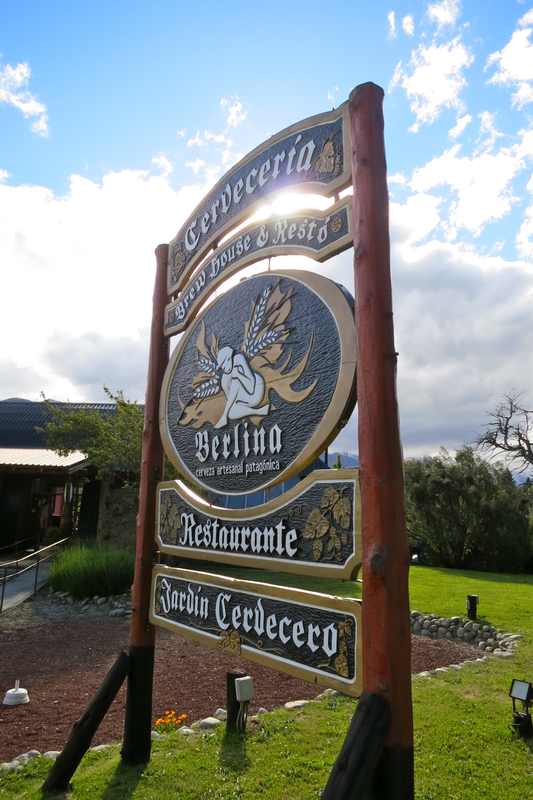 The original brewery was located at the site of the Brew House and Restaurant site, however they opened a larger brewery 10km away in Colonia Suiza in 2008. 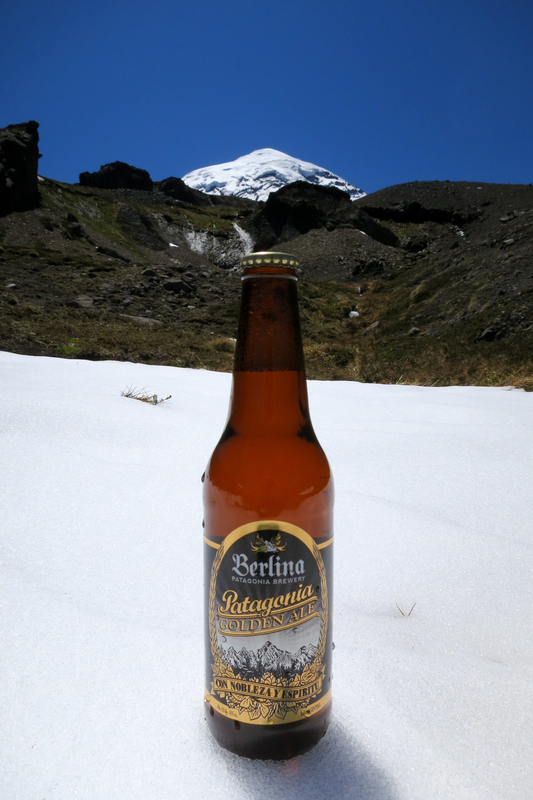 Berlina is apparently the name of the muse of brewers in the Renaissance period and the brewery’s logo is their interpretation of how the goddess looked. 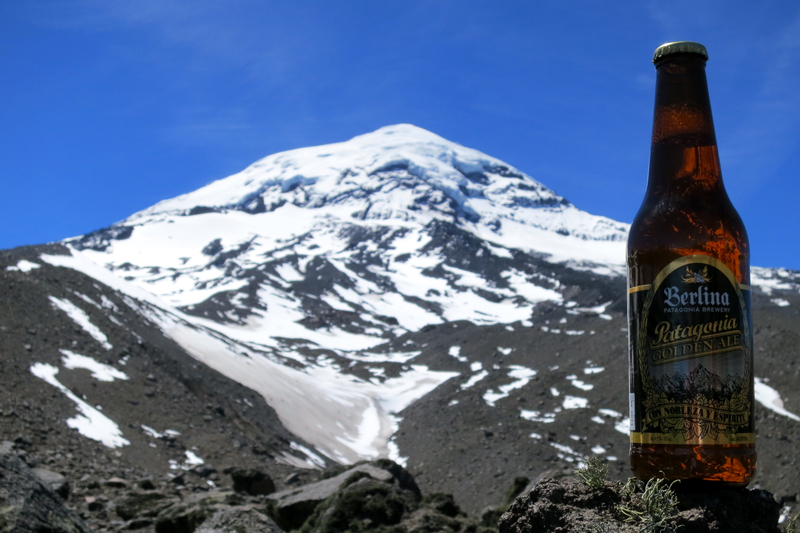 They produce three regular styles and we tried two of these while we were there – the Foreign Stout and IPA. We were also given a couple of bottles of the Golden Ale on departure, completing the trifecta. They also produce several seasonal styles and wanting to make the most of our time there, we got stuck into the Wheat Ale, Lupulution and Nina’s Pumpkin Ale – named after the Brew Master’s 14-month old daughter, whose love of pumpkins extends so far that she won’t eat anything without some on her plate! With regards to the beer, the pumpkin is wrapped in aluminium foil and cooked on the BBQ. The heart of the pumpkin is then mashed and used in the brewing process.